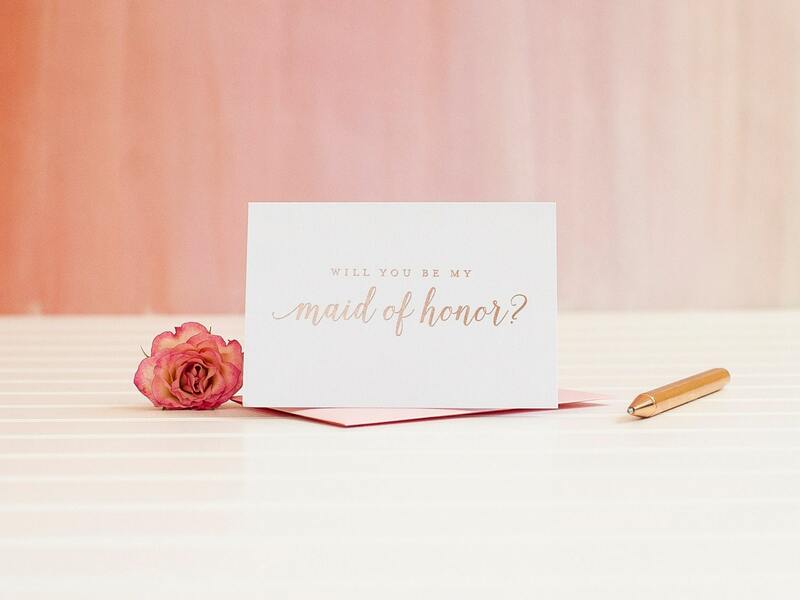 A beautiful way to ask "Will You Be My Maid of Honor?" in rose gold foil on this trendy, classy notecard. 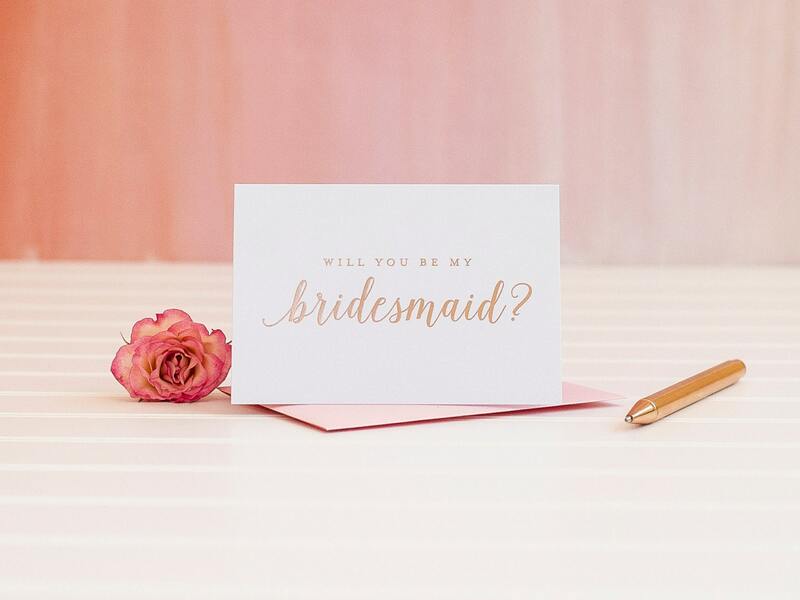 Authentically stamped with real rose gold foil, these bridesmaid invitations are a great for a proposal box or gift. This classic design is pressed on to white pearl heavyweight cardstock. 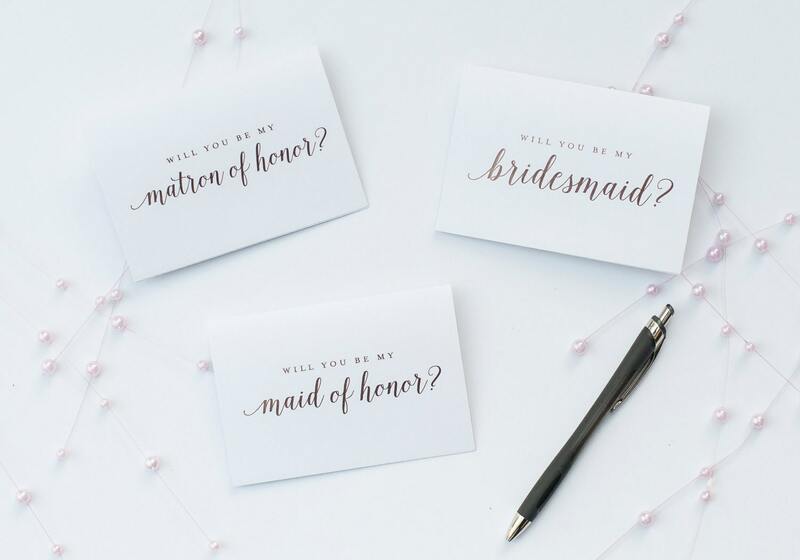 Available in bridesmaid, maid of honor, matron of honor, and junior bridesmaid - one for each of your attendants! The folded notecards measure 4.75x3.25" and are an A1 stationery size. 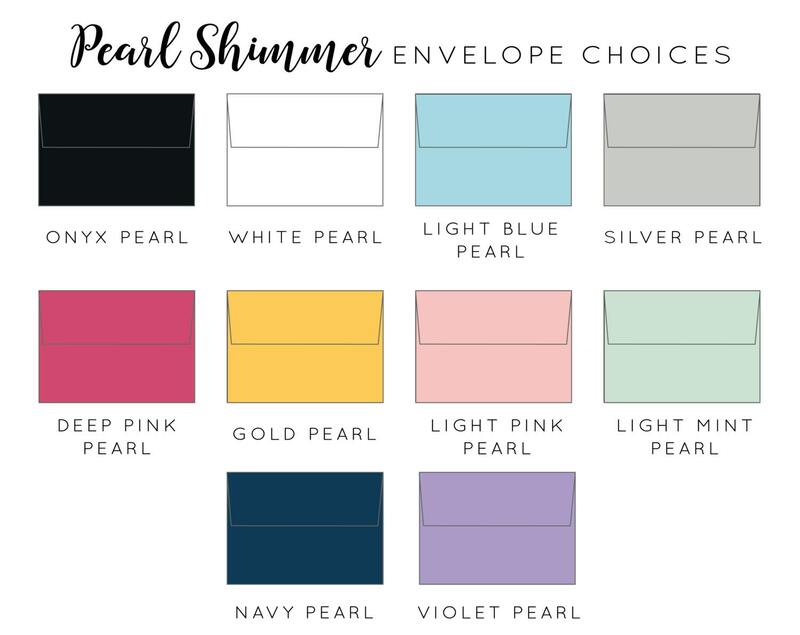 The proposal cards come with a your choice of one of 9 beautiful pearl shimmer envelope colors - see the last photo above for envelope color choices. 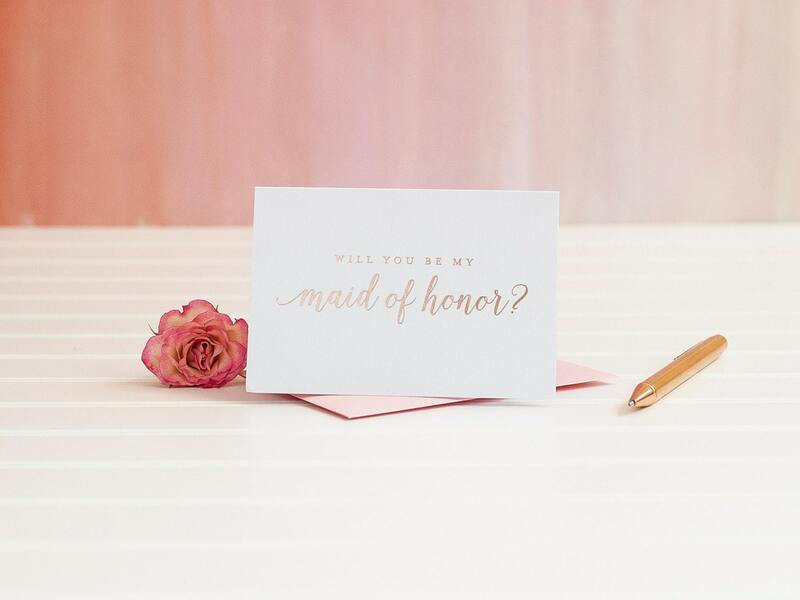 The card coordinates beautifully with the light pink pearl envelope for a trendy rose gold and blush pink pairing as shown in our sample photos. The card interior is blank for you to write a personal message to your friends. Our attendant cards are authentically foil stamped, using a plate process to stamp into the card leaving a slight indentation in the paper where the foil is. Individual personalization and customization are not available due to the nature of this process. These cards are shipped flat to protect the foil imprint, in a plastic sleeve to be sure they arrive to you in pristine condition & ready to write in and send.